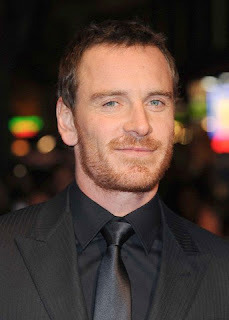 Fassinating Fassbender - A Michael Fassbender Fan Blog: Let the FHM Games Begin! Let the FHM Games Begin! So yesterday was Michael's birthday and I'm sure he had spent private time with close friends celebrating his special day. As I mentioned before, in honor of Fassy History Month (FHM) I would like to post all through the month of April some factoids and fun things about Michael. I will post tidbits and questions for you to answer. Many of you may not know the answer, and if that's the case, you will learn the correct answer soon enough and build up your knowledge about Michael, like any proper Fassinator worth their salt. As per the current poll, it looks like many of you are new fans and are still learning about Michael. Perfect timing to get all educated! Today, I present to you a crossword puzzle that I created that is 'All About Fassy'. Just go to this link to print out the crossword, or do it online! Also at the link, you will be able to find the answers. Please let me know if you enjoyed working on the puzzle, and how easy or challenging it was. I haven't done this in a while, so I want to thank Mazie, Obi's, Natasha, and MissTKH for signing the guestbook! Damn A cross word puzzle. I am excited to have that on my to do list. Huzzah!!!! Thanks Simone. Girl this is going to be my first FHM! Excited! I'm glad you guys are enjoying the crossword puzzle! Hey Jhessye, this is the first FHM, so have fun this month! Darn I missed #30. I've only just learned that he likes to do that from the Obsession interview. I should have known. Very nice, I was surprised I knew most. I LOVED the crossword puzzle! :-) That must have been hard work. I think you should do a word find next. Saw the pics Marcia, Fass knows how to have fun! Glad you had fun with that Emmy. Another game is coming up tomorrow! hey i totally put BEER for what relaxes him for 30 across. LOL! Thanks for this! So much fun I missed 6. Cheers! Having lots of fun with Fassy crosswords. Great idea, Simone!